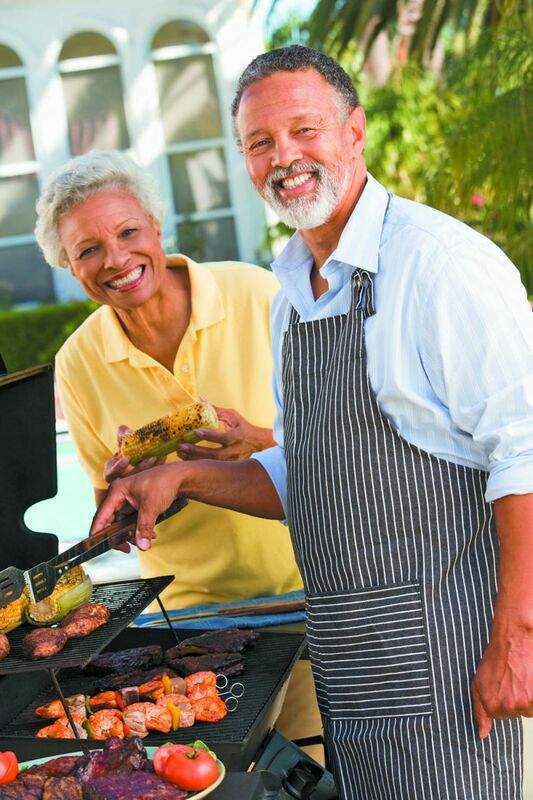 Avoid risks from grilling, and add healthier foods to your barbecue menu. There's nothing like a good old-fashioned cookout, with lots of socializing. But the hot dogs and hamburgers we ate with carefree abandon as kids turn out to be unhealthy in many ways. "I don't recommend them, especially when there are much healthier options," says registered dietitian Kathy McManus, director of the Department of Nutrition at Harvard-affiliated Brigham and Women's Hospital. Hamburgers have saturated fat and extra calories, which can increase the "bad" LDL cholesterol linked with heart disease and stroke. Some studies have even associated diets rich in saturated fat to a greater risk of developing dementia.